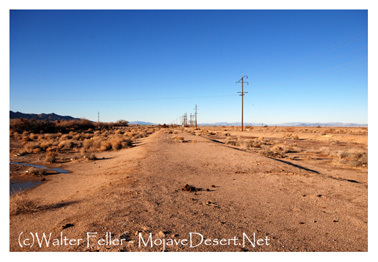 Another desert railroad flanked the western boundary of Mojave National Preserve and cut across a part of its northwest corner. 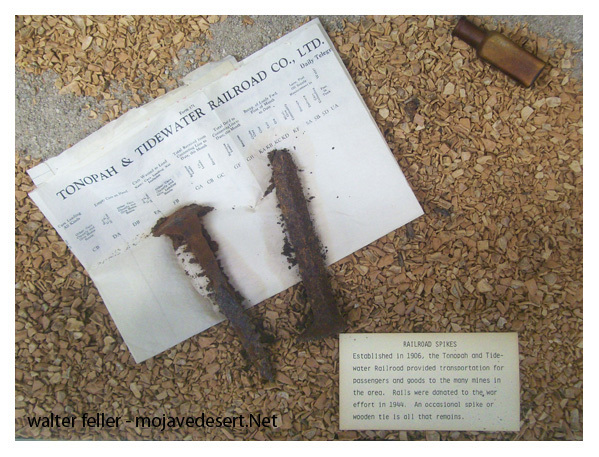 That was the Tonopah & Tidewater Railroad, a wholly-owned subsidiary of the Pacific Coast Borax Company, which from 1905 to 1907 built a standard gauge railroad between Ludlow on the Santa Fe main line to Death Valley Junction and Beatty, where it connected with the Bullfrog-Goldfield Railroad which in turn connected with the Tonopah & Goldfield Railroad and provided a through railroad link which via the Southern Pacific ran all the way up into western Nevada east of Reno, not that through traffic ever characterized that line because of its fractured ownership. 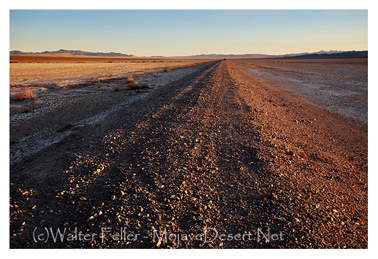 The Tonopah & Tidewater grew out of an instance in which Senator W.A. Clark misled and then doublecrossed Francis Marion Smith of the Pacific Coast Borax Company and the international conglomerate known as Borax Consolidated headquartered in London. By 1905, Smith and Pacific Coast Borax were running out of borate ore which they were mining about eleven miles north of Daggett on the Atchison, Topeka & Santa Fe, to which they had built a narrow gauge ore railroad known as the Borate & Daggett. 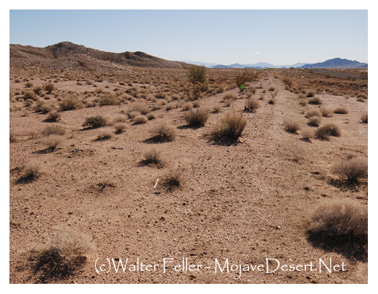 Smith’s next closest holdings were borate mines on the west side of the Amargosa Valley in the Greenwater Mountains east of Death Valley at the Lila C. Mine he had bought from William Tell Coleman in 1890. Smith needed a railroad to haul that ore, but the management of Borax Consolidated did not want to build one. 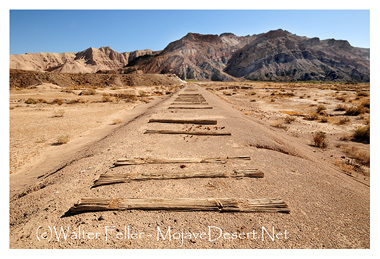 As a substitute, Smith proposed building a wagon road from the upper end of the California Eastern at the second Ivanpah reaching all the way north over State Line Pass to the Lila C. Mine, and he proceeded to build just such a road. He proposed to use on it an experimental form of electric drive traction wagons powered by diesel motors, but after he built his road, the electric drive tractors never got off the drawing board, and when he converted the steam tractor he had used north of Daggett before building the Borate & Daggett Railroad from coal to oil fuel, on its first trip north from Ivanpah II it blew a flue on State Line Pass and had to be towed by mules back to the railhead. Next, Smith proposed building a railroad north from Senator Clark’s then-under-construction Salt Lake Route at Las Vegas to the Lila C. Mine, and Clark encouraged him, but after Smith had built a number of miles of standard gauge railroad grade north out of Las Vegas, and was ready to build track, when he sought a switch and track connection with the Salt Lake Route at Las Vegas, Clark double-crossed him and refused to let him make the connection, because Clark had decided to build his OWN railroad north from Las Vegas to the Lila C. Mine, to Beatty, to Rhyolite, and a connection with the railroads at Tonopah and Goldfield. 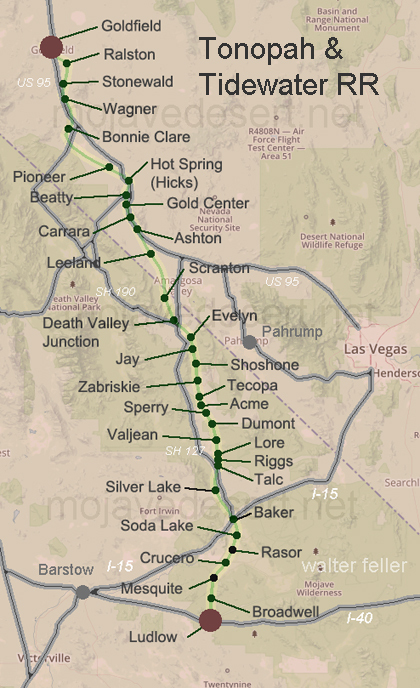 In a rage beyond the powers of written description, Smith vowed never to give Clark’s Las Vegas and Tonopah Railroad a car load of ore, backtracked to Ludlow on the Santa Fe, and began construction of his own Tonopah & Tidewater Railroad all the way north from Ludlow, crossing the Salt Lake Route at a point called Crucero, then passing across a portion of Soda Dry Lake, through Baker, across Silver Dry Lake, up through the Amargosa Canyon, to Death Valley Junction, with a branch from there down to the Lila C. Mine, and on from Death Valley Junction through Rhyolite up to Beatty, where it connected with the Bullfrog-Goldfield Railroad to Goldfield and the Tonopah & Goldfield to Tonopah. True to his word, he gave the Las Vegas & Tonopah no traffic at all, and when the U.S. Railroad Administration took over the nation’s railroads during World War I, it decided the traffic-poor Las Vegas & Tonopah was superfluous and dismantled it, leaving the Tonopah & Tidewater to carry the borate ores from the Lila C. Mine and after 1914 from the Played Out, the Upper Biddy McCarty, the Lower Biddy McCarty, and Grandview, the Lizzie V. Oakley, and the Widow Mines. The Tonopah & Tidewater continued to prosper carrying borate ores for the Pacific Coast Borax Company until 1927, at which time that company opened the richest of all California borate mines a stone’s throw from the Santa Fe main line east of Kramer near a station called Boron. Borate mining moved there in 1927, where it continues to this day, leaving the Tonopah & Tidewater without a meaningful quantity of freight traffic. Pacific Coast Borax then developed a tourist business in Death Valley to give the T.& T. passenger and some freight traffic, converting its offices at Death Valley Junction into the Amargosa Hotel, its dormitories at the mining camp of Ryan into the Death Valley View Hotel, building a new Furnace Creek Inn in Death Valley, and converting Greenland Ranch which had supplied alfalfa to the mule teams into Furnace Creek Ranch with a golf course for tourists. 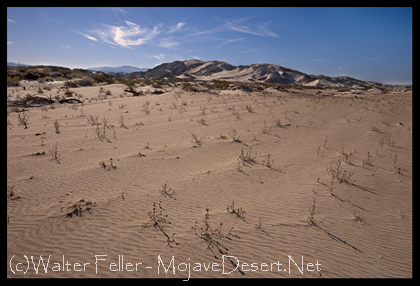 That might have saved the Tonopah & Tidewater had not the Great Depression begun in the fall of 1929. The Tonopah & Tidewater suffered a slow death throughout the 1930s, and was finally dismantled for scrap for the war effort in 1942 after the beginning of World War II.